Elegant, dark green tea cup with sweet, nutty finish. 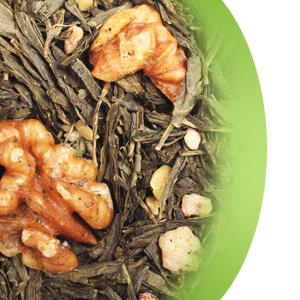 This sencha based blend features intense green tea taste, rounded by flavors of honey roasted almonds, hazelnuts, walnuts and caramel. One of stronger green teas in our collection.